It was my younger sister Priya’s photograph of her basket that urged me to try it out. 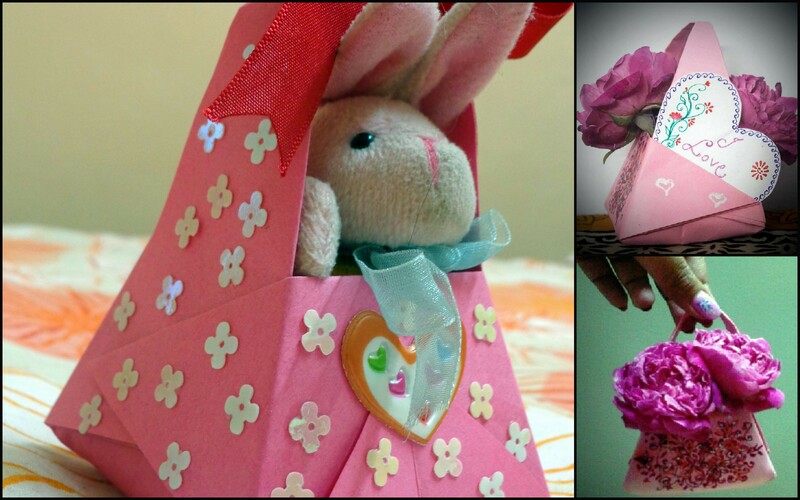 Check out how she turned it into a lovey dovey flower basket with a cute heart message tucked in. 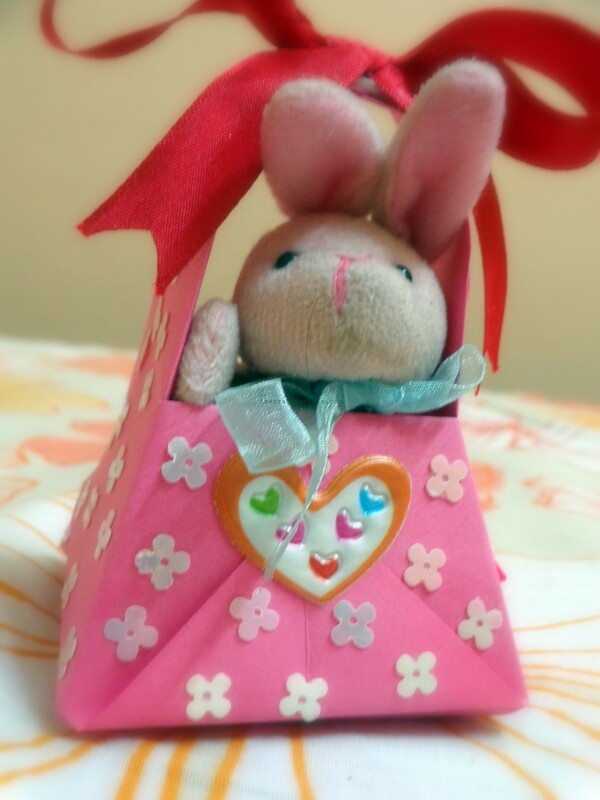 And here is from where I got the instructions for origami basket. Select a paper of your choice and make a square piece out of it. Now fold it along the diagonal to make a visible crease.Fold it again, but this time through the center point but parallel to the sides. You should have in your hand a square piece as in the last image. For convenience, I have marked the edges of the paper with number 1-8 as below. 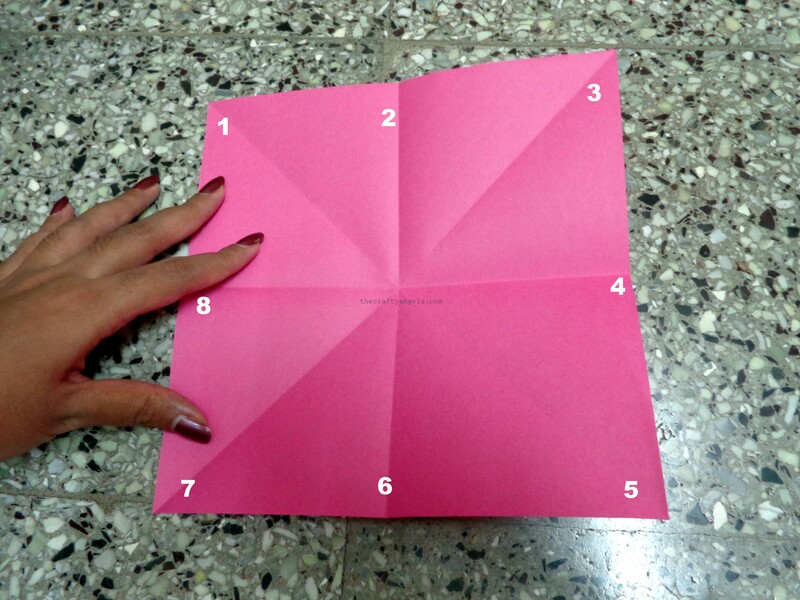 Bring together points 2,4,6&8 to make a square shape as shown in the first image and press it down. 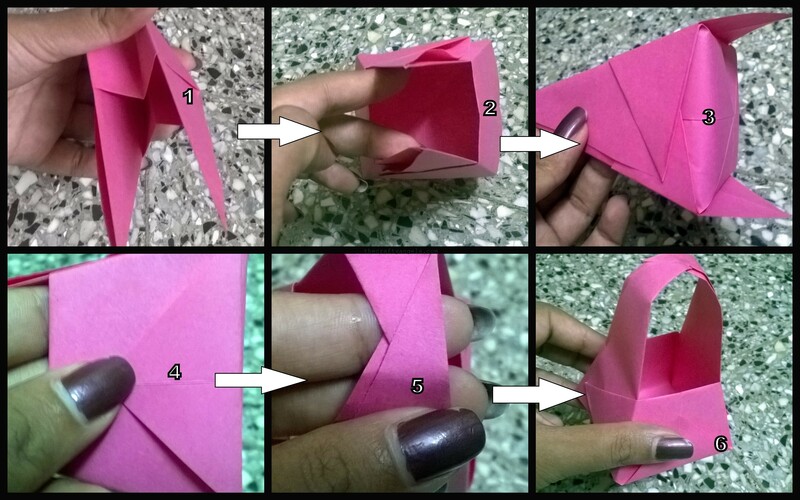 Now, bring one of the open leaf corner to the center and fold as in the second image. Turn over the folded piece to the opposite side and fold the open leaf to the center (on the opposite side of the previously done leaf) and press down. 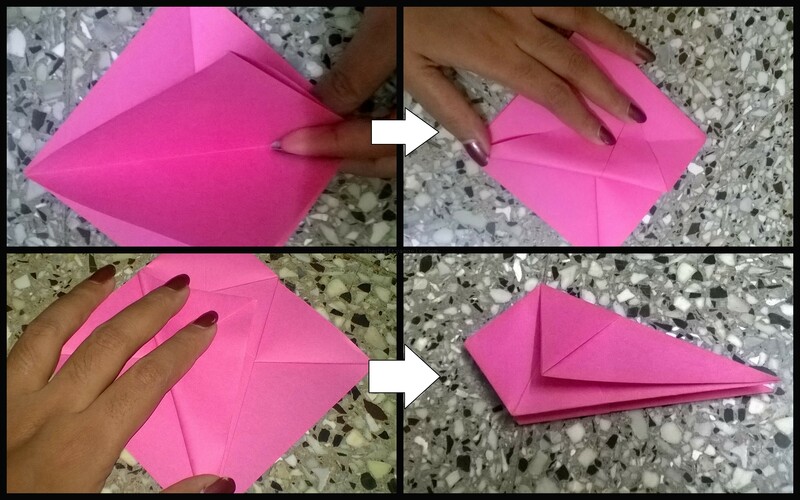 Now, fold over your paper like flipping pages of a book to bring the unfolded sides to the outside as in first image. 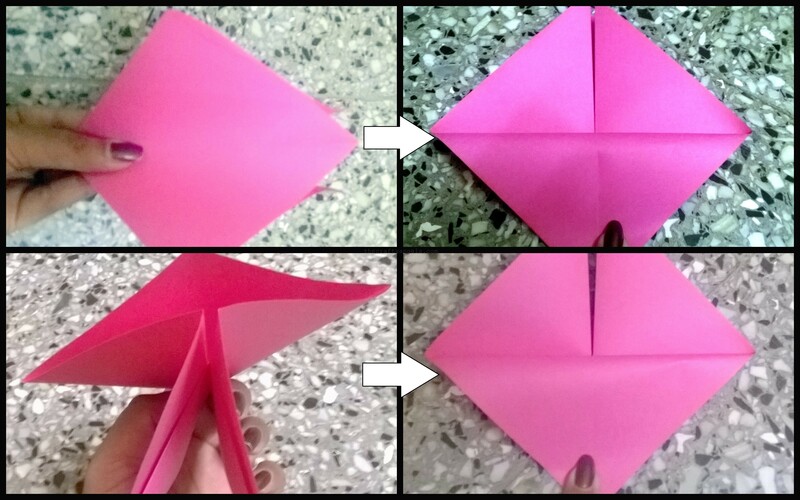 Now, fold over the flaps ( both opposite sides ) as in following image ( the angle is your wish just random) to bring out a shape as in the last image. We shall be more than happy to feature your works in our blog. This is so adorable!!! I need to find an excuse to make this!